Toy Story of TERROR! scared its way into our living rooms last October (2013) as Pixar's first 30-minute television special. Fans were excited to view brand new content in their family rooms from the Toy Story gang and loved getting introduced to a few new characters, like the war-tried Combat Carl. His raw intensity and energy solidified him as a mainstay of the film - you can't think of Toy Story of TERROR! and not think of Carl. Because of this, we were very excited to spot the Toy Story of TERROR! gift pack (from Mattel) finding its way online (we've yet to see it in our local stores). 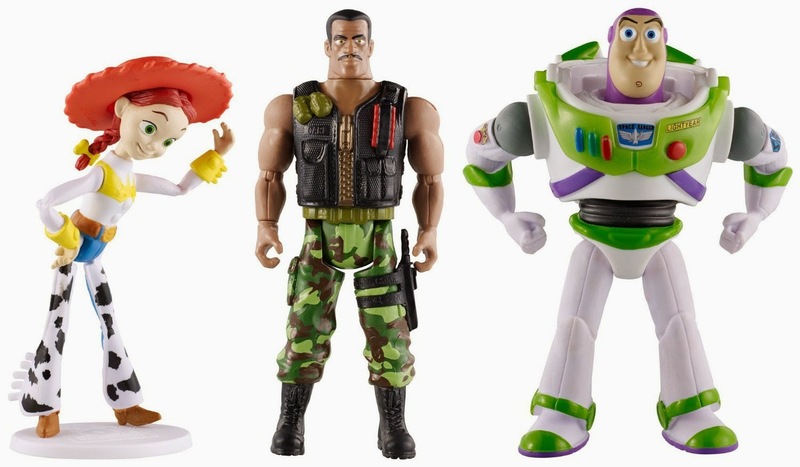 The set, featuring Combat Carl, Jessie and glow-in-the-dark Buzz Lightyear is amazing. Be sure to check out our detailed video review and unboxing of the set (as well as details on the included DVD). 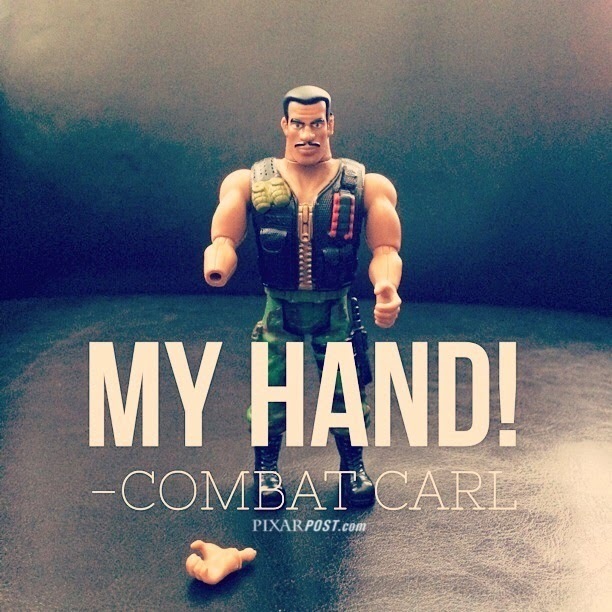 The best part of the set to us is that Combat Carl's right hand can come off to look just like it was in the short. The figures measure in at approximately 4-to-4.5" in height and have moving arms, legs and heads. The set is recommended for ages 3-and-up and can be purchased directly on Amazon. Additionally, the set also comes with a bonus DVD featuring the entire Small Fry short film as well as a two-and-a-half minute clip from Toy Story of TERROR!. Photo © Pixar Post - Do you follow us on Instagram? Don't forget to order your copy of Toy Story of TERROR! on Blu Ray or DVD as well (releasing on August 19, 2014). For more details on the Blu Ray and DVD, be sure to check out our previous post highlighting all of the extras. Additionally, there is a new Toy Story of TERROR! (and Party Central) book releasing on July 22, 2014. Thanks to Dan the Pixar Fan for the heads up on the Toy Story of TERROR! set.